Matt Gianni is the author of dual timeline historical fiction / contemporary thriller novels built around his Castellum One team, a covert investigations unit financed by the Vatican and run by elements of the US Intelligence Community. Lever Templar, the first in the series, has been described by readers as "The Da Vinci Code meets National Treasure." After a long career in aeronautical engineering and flight instruction, writing countless airplane flight manuals for Boeing and instructional articles for flying magazines, he began writing fiction in 2013. Lever Templar is a historical and contemporary thriller novel penned by author Matt Gianni, and part of the Castellum One novel series. Set at the very end of the Crusades and also during the present day, the plot follows two characters separated by time, but connected to the same ancient artefact of the novel’s title. In the present day, Rick Lambert investigates modern day racial crimes in Iraq, discovering a devastating plot by extremists along the way; and in the past, Templar Brim Hastings holds a precious scroll which he must surrender in order to be the saviour of his people. What results is a high pressure drama with strong racial themes. Author Matt Gianni has created an exciting and puzzling thriller in the realm of works such as The Da Vinci Code. This particular period of history allowed for an interesting exploration of racial tensions, which I thought tactfully dealt with the issue of the crimes of the Crusades whilst also exploring modern tensions and the reasons people use to fuel their hatred. The plot was well constructed and not too character focused, making for a wider view on a world-threatening drama as Rick rushes to try to retrieve the Lever before anyone else. I also really enjoyed the historical components as I thought they were vividly brought to life and very well researched. 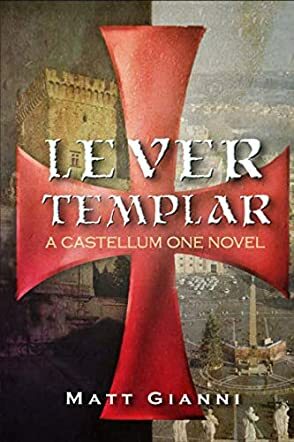 Overall, Lever Templar is an excellent novel, bringing several strands together to form a satisfying read, suitable for historical and modern thriller readers alike.